Let’s face it, as companies operating in Southern California, our HVAC systems are constantly put to the test. If we don’t take proper care of our equipment, our systems can fail at the least opportune time, causing disruption and discomfort among your employees. Regular Inspections Plan: An excellent program for those needing ongoing inspections to identify system issues. HVAC systems must meet environmental regulations and workplace safety measurements. Our Regular Inspection Plan ensures your business will meet all industry metrics. Our tech expert will see to it that your system is in good working order and make suggestions to help you improve if needed. Prevention Plan: The Prevention Plan averts emergencies. Our tech goes out at regularly scheduled intervals to check thermostat settings, electrical connections and motors, makes sure there is proper lubrication, and that the controls are in working order. 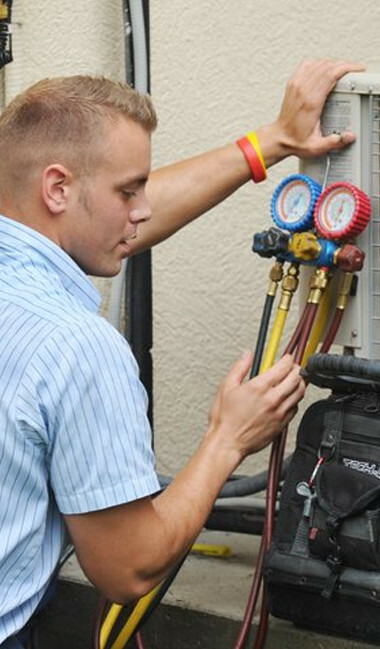 In the case of AC maintenance, our tech cleans the AC coils, adjusts the refrigerant levels, and makes sure there are no air flow obstacles. If there are issues, our tech immediately takes care of them so that your business does not find itself in an emergency situation. Labor Service Plan: Perhaps you need AC maintenance, but you’re not sure. The Labor Service plan means we come to you to fix issues you’ve identified. Typically, when you need to hire a technician for a service call, you can end up paying out-of-pocket for labor costs. The Labor Service Plan is much more cost efficient and can easily be made up after one service call.